Entrepreneurship is the essence of every successful business venture. Our versatile approach has allowed us to build up our knowledge holistically across numerous industries, placing us at the forefront of innovation. EACH MEMBER OF OUR TEAM COMES FROM A DIFFERENT BACKGROUND. THEIR skills VARY in areas ranging from engineering, computer science and mathematics, to finance and financial engineering. 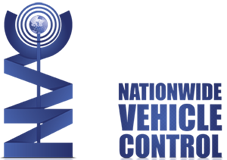 Code Gears is dedicated to providing innovative solutions to complex problems. Dedicated ourselves to providing innovative solutions to complex problems using tools rooted in research and mathematical modeling, development and coding, as well as encryption and data handling. A diverse team of industry professionals skilled in areas ranging from engineering, computer science and mathematics, to finance and financial engineering. Now more than ever, the world is in a state of constant change bringing with it new challenges. At Code Gears, we fully grasp this reality and focus our energy and creativity on the objective of meeting these obstacles with purely innovative solutions. NVC system provides the digitization of security, control, and all vehicle-related payments within a cost-effective and highly efficient framework. ARKE Messenger is a professional financial chat platform catering to the evolving needs of the industry’s participants. Created by its founders to bridge a gap they had long experienced within other existing messengers in the field, ARKE introduces never-before-seen features. Code Gears had an essential role in the development and coding of these various innovative tools specific to ARKE Messenger. We helped ARKE by coding the logic behind its Trade, Order and Market patent-pending tagging system, which allows users to immediately zero in on the Trade, Order or Market in their conversations. We also developed the Pools and Consolidated Pools Features. The Pools feature helps the users keep track of all the strategies they send or receive by parsing them into sortable categories, including the type of strategy, the strategy levels, its contributor, as well as the message time stamp. The Consolidated Pool feature organizes the various strategies originating from the different pools, sorting them by type of strategy where bids and offers are chronicled. ARKE Messenger, designed by Code Gears, was up and running within a period of less than ten months. Code Gears has been instrumental in helping GMIV set up its activities. 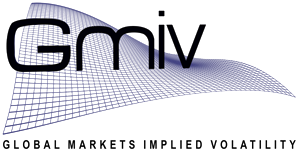 In their role as a valuation and consulting company specializing in the equity and index options market, GMIV needed to develop a model for volatility surfaces, as well as tools allowing their consultants and clients to calibrate those surfaces and price the various derivatives trading in the market. In response to this, Code Gears generated a mathematical model based on the Cost Model Framework to model and calibrate the volatility surface. Tools to model and calibrate dividend streams and variance swaps were also developed, providing GMIV with the building blocks to price any product being traded in the equity derivatives market. Finally, a state-of-the-art pricing tool was created, pulling its inputs from the aforementioned tools. Code Gears armed GMIV with all the platforms needed to dynamically price any equity derivative structure, thus matching their modeling and pricing capabilities with any sell side Equity Derivatives Desk. All the products developed are cloud­based, providing GMIV with immense flexibility. Smart Waters is an unprecedented application that streamlines your yachting experience by changing the rules: it connects key players of the yachting world, centralizes boat data as never before and enables the birth of synergetic relationships.